So, I have a confession with this whole bathroom refresh. For the last few years, the kids' bathroom was a shambles! They had no pride in ownership and they didn't really know how to organize their things. I know, it's embarrassing. But there is hope at the end of the tunnel! 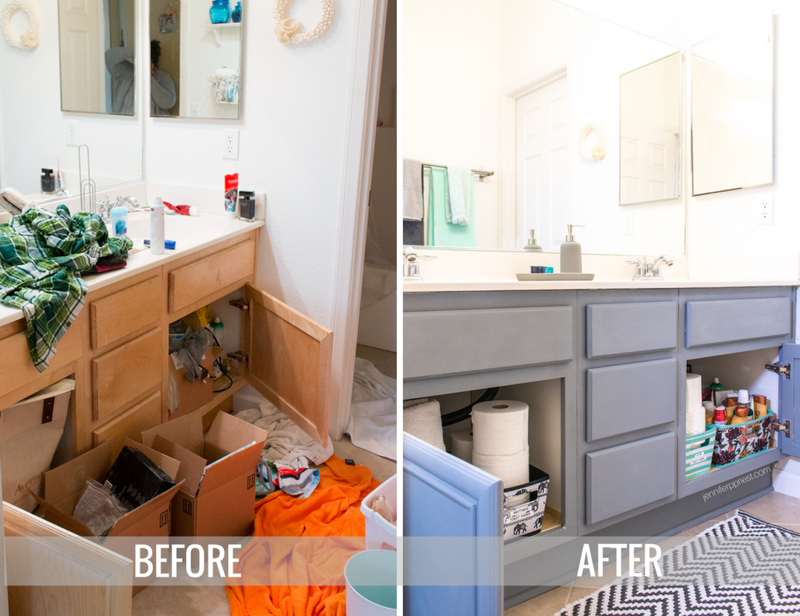 Keep reading to see how we conquered the clutter, refreshing the bathroom to be a place mom and the kids are proud of! As the kids grow up, the teen girl needs space for her makeup, hair products, and maxi pads and the tween boy needs a place for his deodorant, hair gel, and mouth wash. When the kids are little, its okay to have them share the cabinets and drawers in their bathroom because they have fewer toiletries and mom is usually in the bathroom helping them get ready. But as the kids get older, not only do they have more stuff, they want to feel a sense of ownership over their own space. Since we have double sinks and two kids, the dividing line was easy; each kid took the cabinet under one of the sinks. As far as drawers, my daughter Katie is older so she got two of the three drawers. And makeup, wow, that takes up a lot of room! To help the kids feel a sense of ownership over their spaces (so they'll WANT to keep them organized) we had the kids pick out colorful fabric bins at Target to organize their toiletries and other essentials. Matthew chose grey and Katie chose mint. We used the colors in the fabric bins they chose to also choose towels to match. Each kid has their own towel and hand towel, their own special fabric bins, and their own domain in the bathroom. 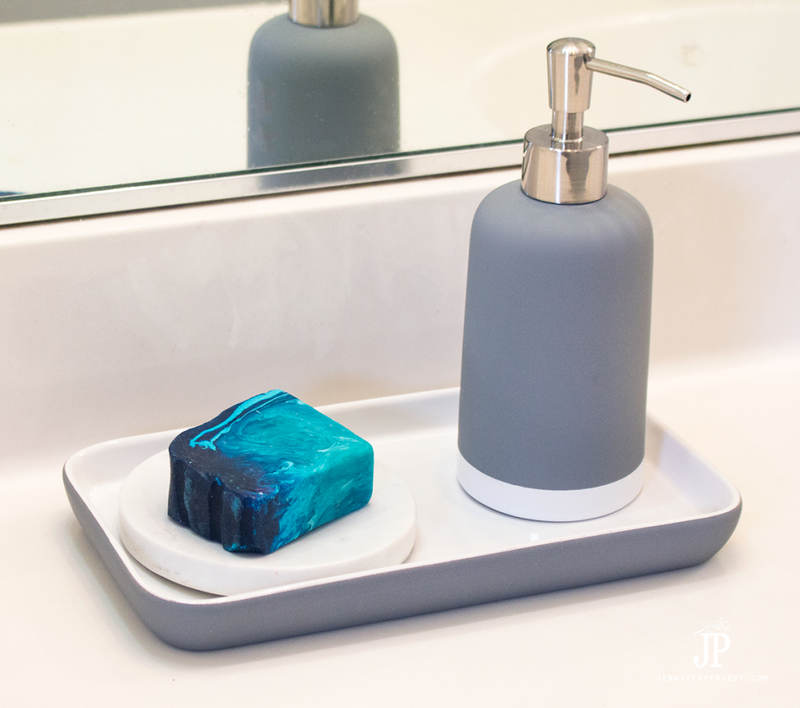 The kids chose the items in this soap station and Katie stocked it with her favorite “fancy soap”. I am hoping this leads to a lot more hand washing around here! I am so excited to see this space so fresh and so clean!!! I would love for your shared kids' bathroom to look the same. Moms, we GOT THIS for back to school! Since the kids are growing up, it's even more important to make sure they understand how being organized can enable them to be more responsible. If they are running low on hair gel or toothpaste, they need to let me know so we can pick it up at the store. The same with toilet paper. 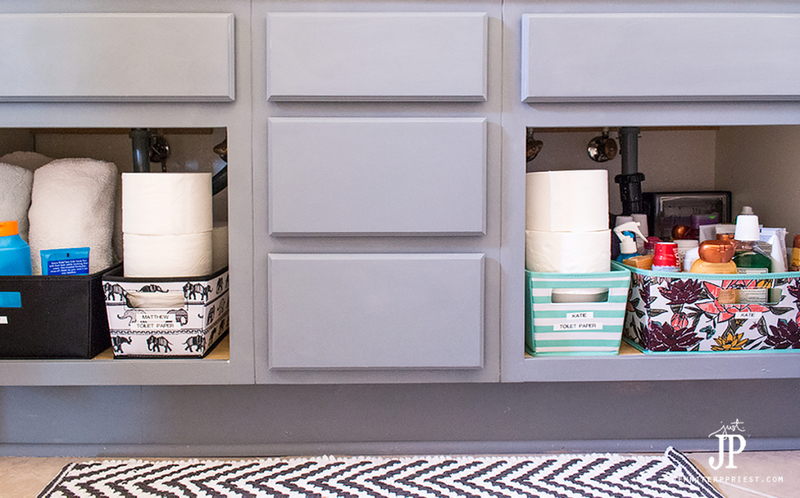 Each kid has a bin in their own cabinet with their own supply of Quilted Northern Ultra Soft & Strong® (Mega Rolls). 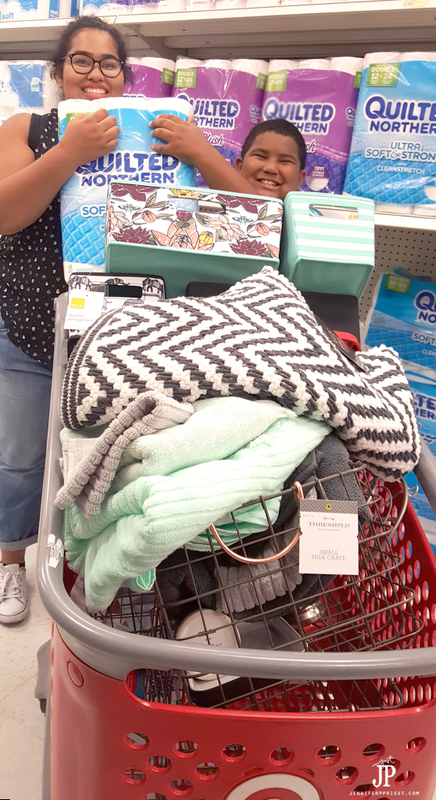 While we were at Target choosing new bathroom decor, we also picked up a pack of Quilted Northern Ultra Soft & Strong® (Mega Rolls) from the endcap display near the paper goods aisle. Because Quilted Northern Ultra Soft & Strong® (Mega Rolls) have 4x more sheets in 1 roll, the roll with last longer and refills are less frequent. I am so ready to stop running to the kids' aid every time they forgot to refill the roll. 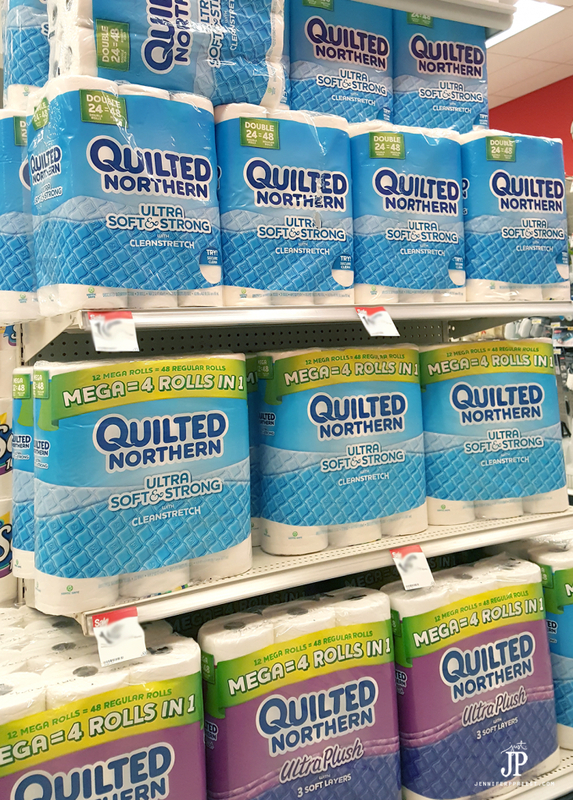 Sign up for the Target Subscription service to save time and get Quilted Northern® Ultra Soft & Strong® (Mega Rolls) delivered, avoiding “running out” altogether! We really truly did not have a good storage place for toilet paper before this; it's just not something I put a lot of thought or effort into. Sometimes the toilet paper was stored in Katie's cabinet, sometimes we stacked it on the back of the toilet where the rolls would get ruined from over-splash from the shower, and sometimes it was kept in the linen closet down the hall. I knew there had to be a better way. The fabric bins we got at Target fit Quilted Northern® Ultra Soft & Strong® (Mega Rolls) perfectly! We added labels to each of the bins to help the kids stay on track with keeping their spaces organized and fully stocked with everything they need. Since they both can read now, this makes life a lot easier! Since Matthew has fewer toiletries than Katie right now, we used the extra space in his side of the cabinet to store extra towels for showers. This is Katie's last year of high school and when she moves away to college, we'll transition Matthew's cabinet to 100% his own and use Katie's cabinet for the extra towels and supplies. Both of the kids are loving this new space and have already kept it clean for over a week. I didn't even have to clean up to take these photos. 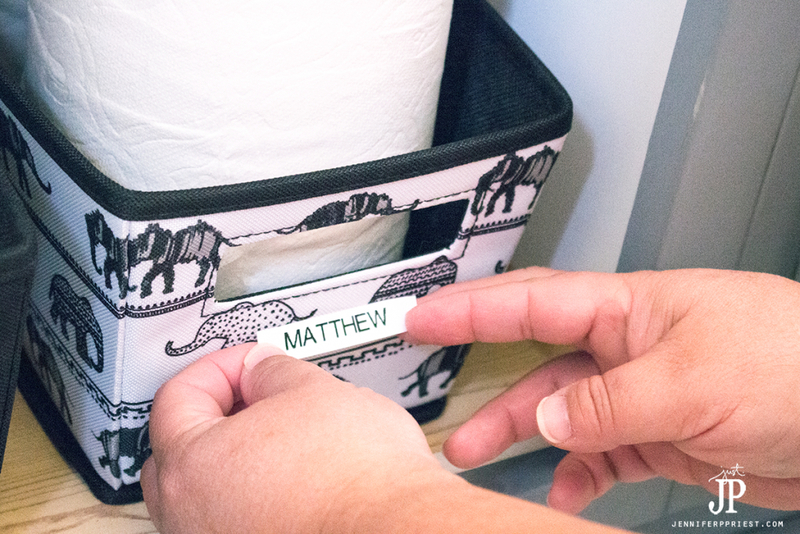 It's easy to organize a kids shared bathroom with Target and Quilted Northern®. We can all have victory over the kids' bathroom! 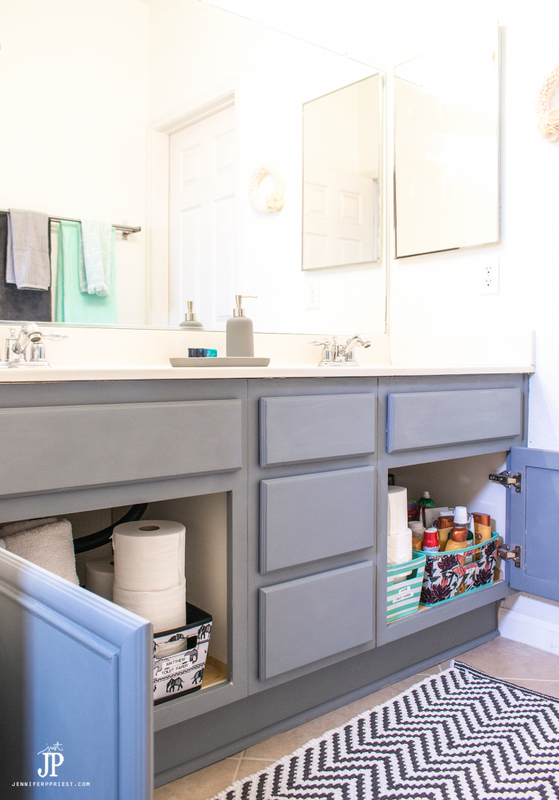 Help the kids feel ownership of their space and take responsibility for themselves with a bathroom refresh. Avoid running to bring the kids toilet paper when they run out by teaching them to take charge of their own toilet paper supply with Quilted Northern Ultra Soft & Strong® (Mega Rolls). 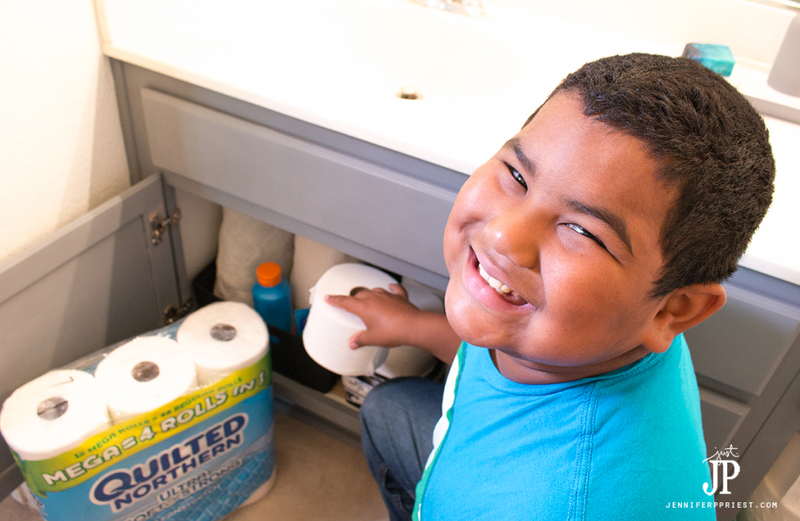 I'm so excited to have the kids ready for back to school with a kids shared bathroom they love and can be proud of, stocked with Quilted Northern Ultra Soft & Strong® (Mega Rolls). 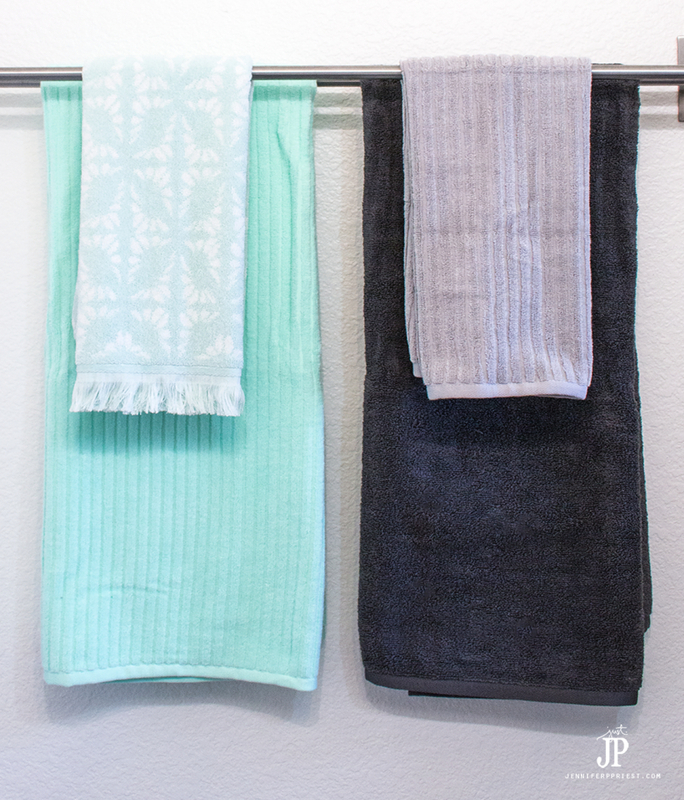 What's your best tip for sprucing up the bathroom for back to school? 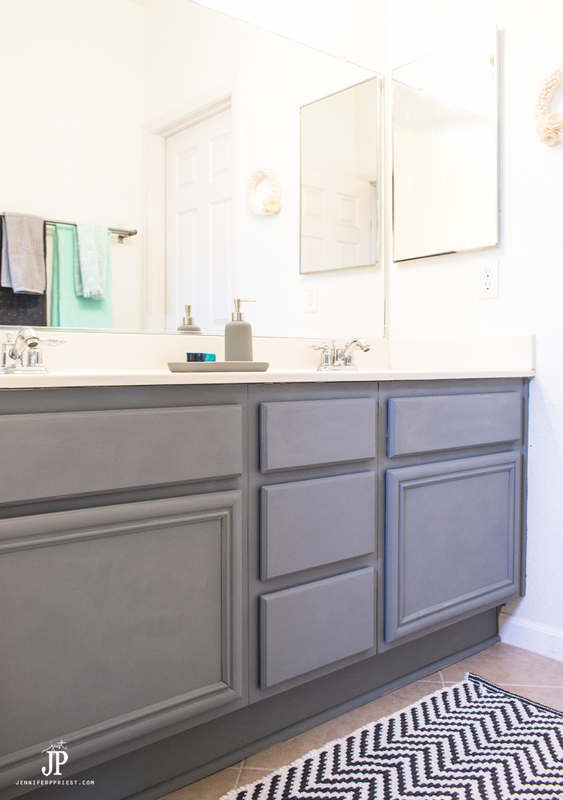 The chalk paint refresh looks amazing and your kiddos look super happy! I’ll we watching for that post. I need to do something similar in my bathrooms. LOVE the bathroom! Katie and I have exactly the same taste. LOVE her fancy soap!! Such great tips!! Baskets are always my go-to for sprucing up a space! 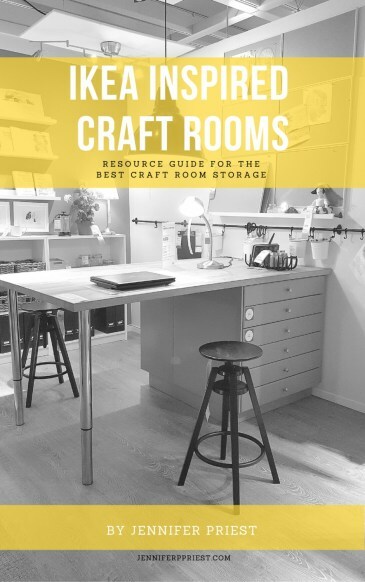 I love this – I might have two girls that share but I still got so many ideas from this post ! !